observing grazing herds of wild deer. Birdwatchers can enjoy a variety of beautifully plumaged bird species. People in Baranja are very kind and friendly so if you would like, learn, or better understand something – simply ask, everyone is willing to help. Many like to find refuge from heat in rivers and streams where they can also take a boat ride or paddle down the current. Adrenaline lovers can enjoy jeep rides while those who are more into relaxing activities can enjoy fishing, golf or simply sitting in a vineyard. 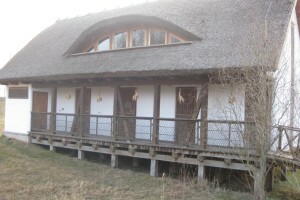 Rural tourism is developed in Baranja and all guests are welcome: its private accommodation units are something special – enjoy holiday houses, apartments, camps, hotels, hostels and make yourselves at home in Baranja!